A truly family fun day, a unique event started in 1985, its right in the heart of New Zealand’s rural countryside. 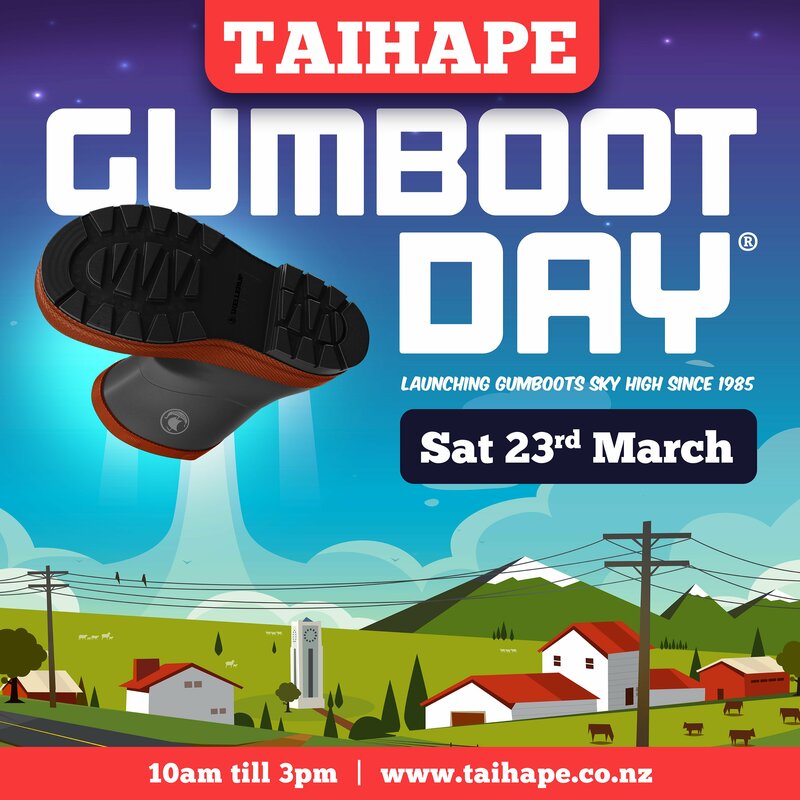 Gumboot Day is Taihape showcasing what we do well and throwing the gumboot is only half the excitement. This year we are hosting the World Boot Throwing Championships! 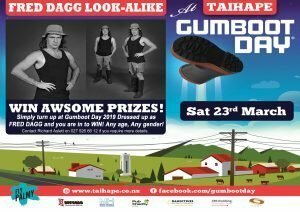 Not to be Missed……..Yes, gumboot throwing IS a sport! Click HERE to download our T&C and entry forms. Click HERE to download our T&C and entry form AND click here to download the A3 template. This year’s family festival is going to be BIGGER than previous years and includes a large variety of either Free or affordable activities, demonstrations, competitions, bouncy castles and rides. 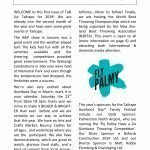 Our gold sponsor is Palmerston Airport who are running the ‘Fly Palmy Have a Go Gumboot Throwing Competition’. Additionally, we are organising a Fred Dagg Look-a-Like competition, Soap Carving, Gumboot Decorating and more. We have live music & shows all day and NZDF are also providing support (at this stage we have a helicopter attending). Finally, we are hosting the World Booth Throwing Championships which is attracting both domestic and international visitors and media attention. Bring a picnic or enjoy some lovely food from our many food stalls in our picnic area and be entertained by our live shows & music. A3 Paper Gumboot Decorating –> You’ll be able to download a template soon (or pick up from the Town Hall) and decorate an A3 size paper gumboot. PRIZES are sponsored by The Wool Company & Norsewear! Colouring in Competition – this competition is sponsored by Taihape Paper Plus. We’ll have four different categories and the templates can be downloaded above. Gumboot Decorating Competition –> Find your gumboots and decorate them!! Take your gumboots to the town hall by Thursday 3pm, or take them to Gumboot Day Information tent before 10.30am to be displayed. They will be judged and there will be a people’s choice prize. You can indicate whether you want your boots back or not. PRIZES are sponsored by The Wool Company and Norsewear and will be announced on Gumboot Day! Finally, our Novice Cake Baking Competition –> Entry forms and Terms & Condition can be downloaded at the top of this page. 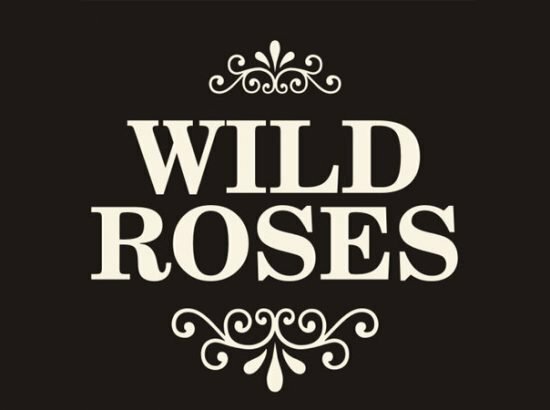 PRIZES are provided by Wild Roses!! Have a go at a GUMBOOT THROW!!! 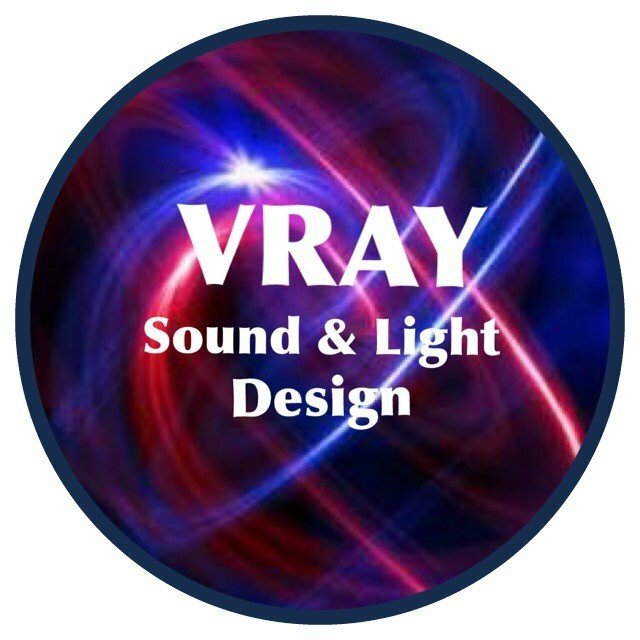 –> our most famous competition with a large variety of categories. Prizes are in cash!!! If you want to enter, you make a small donation towards the prizes… This means, the more entries, the higher the prizes!! Second and third are sponsored by Taihape Rotary. No need to register, just come and have a go at a gumboot throw at the FLY PALMY Gumboot Throwing Lane! 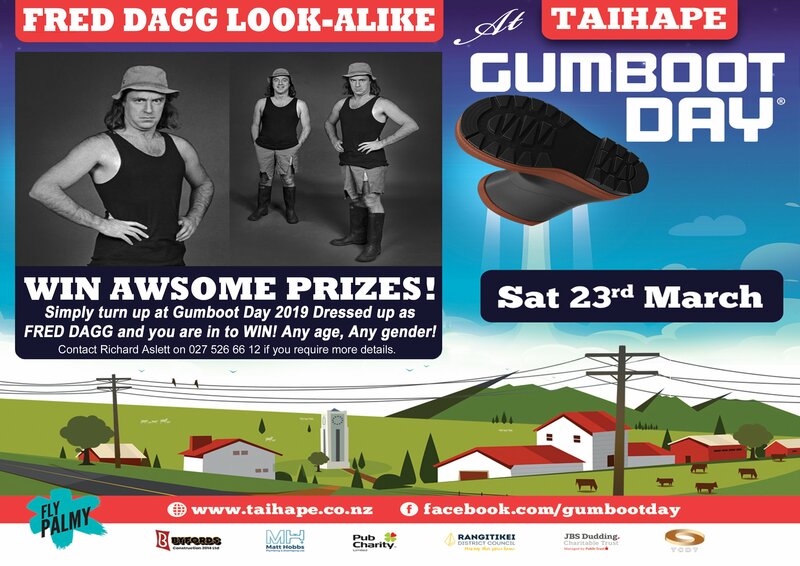 Fred Dagg Look a Like Competition –> Show up on Gumboot Day in your best Fred Dagg outfit and find our Information stall to enter! 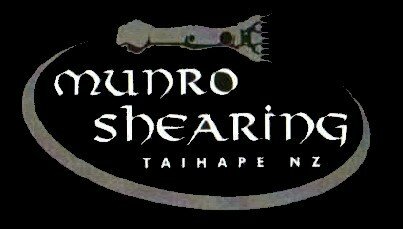 PRIZES are sponsored by Behemoth Brewing, the Waiouru Army Museum and Skellerup! Soap Carving Competition –> we will have a stall where 8 year olds and over (2 different categories) can have a go at shaping a bar of soap into a gumboot. We have prizes and plenty of soap!!! A3 Paper Gumboot Decorating –> there will be a tent where you will be able to decorate an A3 size paper gumboot. If you want to enter the competition though, you’ll need to do that prior to Gumboot Day. Wood work – you will be able to make your own coaster or event a couple (maybe a present for mum / dad)? Gold coin donation. Rock Painting – who doesn’t love finding those beautifully painting rocks when they go for a walk? Here you can paint your own rock and take it home. For updates, keep checking our Facebook Page!